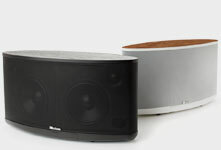 What Defines a "Reference" Loudspeaker? 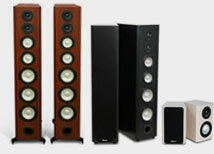 Audiophiles and home theater enthusiasts regularly use the word reference to describe the qualities of a loudspeaker or an A/V component without thinking too much about the term. In certain contexts, reference may even be attached to an entire audio or home theater system, the implication being that reference equipment is about as good as it's possible to get, or that the sound quality cannot be bettered with existing technology. But it's also a term that's become somewhat debased through casual usage. What may be a reference to one person may not be to someone else. One record label and more than a few brands of speakers and electronics have made the word part of their company names, the connotation being that their products may be used as a benchmark of sound quality. But what exactly is a reference? Should it not reference the sound of live music? Historically, in audio circles, the word has its roots in recording studios. The term reference monitor usually applied to a large bass-reflex speaker commonly found in lots of studios, often wall-mounted and facing the recording console. In bygone days in North American studios, those were often big JBLs like the L112. Such speakers were not the most tonally accurate, but they could withstand the rigors of 24-hour mixing sessions at extremely loud levels without damage, one of the standards that any studio monitor has to meet. Does a Reference Recording Exist? The issue of reference becomes especially thorny when you refer to a particular disc or recording. Apart from advocating a few albums by some famous artists of wide general appeal (Norah Jones, Alison Krauss and Union Station, James Taylor and Diana Krall, to cite a few examples), I tend to be wary of suggesting specific CDs because there is such wide variance in musical taste. Those artists are fairly safe territory because they are unlikely to offend and the recordings are, by general consensus, well engineered. But what may be a reference for you just may not work for me. During many years of double-blind speaker tests, various rock, pop, jazz, and classical recordings were tried out to see which material was more useful in spotting typical loudspeaker coloration and distortion. It turned out that the classical recordings were more reliable for quickly differentiating good from bad speakers, partly because a large orchestra with chorus covers such a wide range of musical frequencies and harmonics. With a few exceptions, I don't generally use rock music to test speakers, partly because I grew up mostly listening to classical, jazz and acoustic music and vocals. I have never accommodated the distorted electric guitar sound (I never understood the reverence for Jimmy Hendrix's playing). But if you grow up listening to a lot of rock n' roll, you may know that sound really well and it may be useful for you to make accurate judgments of speaker sound quality. If you've played or listened to a Stratocaster, then I figure you likely know and appreciate when a good speaker accurately reproduces it. – A.L. In U.K. or European recording studios, the reference was more often than not a speaker from Tannoy, Spendor, Rogers or Kef. There are also some brands of studio monitor speakers like Urei that are unknown to consumers because the company never built speakers aimed at the hi-fi audiophile market. For example, I remember the first time I saw a tiny speaker called an Auratone, perched on either side of a recording console in a big Toronto studio. The Auratone was, and is, used to simulate the playback quality of a typical boombox or mediocre car radio. 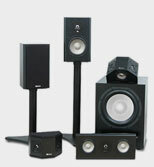 Engineers use it to check the mix of a pop or rock recording to see how it will sound on a truly low-fidelity speaker. For the engineer who used an Auratone, it was his reference. (To me, it just sounded lousy). Studio monitoring references seem to go in and out of fashion. For some time in the 1980s the Yamaha NS-10, a small two-way bookshelf speaker, was a common sight in many studios, usually with a piece of Kleenex scotch-taped to its tweeters to lessen its elevated treble output. Occasionally, a high-quality speaker designed for consumer audio actually makes its way into a recording studio and becomes a reference. That's been true of several Axiom speakers as well as a couple of models from other Canadian speaker manufacturers. About 20 years ago, the CBC (the Canadian Broadcasting Corporation, the federally subsidized state radio/TV broadcasting system in Canada ) made a concerted effort to use scientifically controlled testing to find a tonally accurate speaker for control-room monitoring of live concert and music broadcasts. Using the NRC listening and measuring facilities in Ottawa, various listening panels of CBC music producers and broadcast recording engineers did many rounds of listening tests, all supervised by Dr. Floyd Toole, the resident NRC scientist and psycho-acoustician in charge of the Acoustics division. These tests included many of the pro monitors popular at the time (some of which did poorly in the double-blind listening tests) as well as domestic speakers from Canada, England, the US and Japan. At the end of the many rounds of tests, several Canadian speakers, an American one, and a few British models did well. The CBC recording engineers could then choose from a refined group of accurate reference loudspeakers. In most enthusiasts' homes, however, a "reference" loudspeaker is simply the speaker they purchase and are happiest with for an extended period – and that may include some old and flawed speakers. They become devoted to the sound they've heard for years and consider it their reference, even though that sound may be wildly colored and inaccurate (I won't mention brand names so no feelings will be hurt). However, once they hear truly linear and musically more accurate speakers like the AxiomM60s, M22s or M80s, etc., it's often a revelatory experience because they realize how much speaker design has progressed since the '50s, '60s and '70s. They may be astonished at the degree of realism and sonic nuance provided by well-designed modern speakers and of how much detail and spatial information they were missing listening to their muddled old "reference" sound. Aldo Nova (seated) and Ian Colquhoun in Aldo's recording studio. Aldo has the M2s, M3s and M22s in his studio. Axiom speakers were also the reference speakers at the world famous Le Studio, north of Montreal. Of course a reference speaker must be one that naturally and convincingly reproduces the sounds of musical instruments and voices. 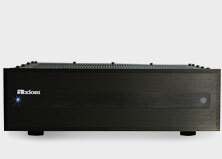 If you already own Axioms, you already know what speaker attributes like "transparent," "neutral" and "detailed" mean as they describe sound quality. You've likely spent hours and hours listening to your favorite recordings on those particular speakers and they have become your standard of fidelity, the benchmark against which you'd measure the sound of any new speaker. It's the neutral quality of the speakers that let you sort out good from bad recordings, an ability that defines true reference sound quality. A great speaker is one that becomes a transparent window to the quality of the original source recording-good or bad. It shouldn't add or subtract any timbral or tonal traits of its own to the playback sound. It should not function as a quasi tone control, covering up flaws in a recording. Nor should it artificially emphasize bass content, unless the recording itself has heavily mixed bass (plenty do). Looking at the progress of speaker design over decades, it has been a gradual process of refinement towards a goal of transparency and neutrality, and this trend will undoubtedly continue. When the speaker stops getting "in the way of," or impeding, the music, then it has attained true reference status.